For all those who cry every time the trailer for Dumbo plays, there’s good news. Cosmic Pictures’s Superpower Dogs, the new IMAX 3D documentary is playing in theaters and at museums all across the country, and it’s an inspirational delight that will only bring joy to animal lovers and fans of superheroes of both the two and four-legged variety. The film is narrated by proud dog owner Chris Evans. His twitter followers know he famously shares his heart with his rescue pup Dodger, so lending his voice to Henry, one of the superpower dogs, feels like a natural fit for a star known for his role as superhero Captain American. The 45 minute film highlights the heroism of six exceptional canines, who are saving lives around the world, guided by their human partners. We see Halo, a Dutch Shepherd puppy whom we meet at the very beginning of her life, training to become part of one of the top US disaster response teams. Border collie Henry works as an avalanche rescue expert in the Canadian Rockies. Reef is a Newfoundland lifeguard working off the Ligurian coastline with her partner Commandante Ferruccio Pilenga, founder of Scuela Italiana di Cani Salvataggio (Italian Schoold of Water Rescue Dogs). Bloodhounds Tipper and Tony are brothers who help keep endangered species safe at the Leia Wildlife Conservancy in Kenya. 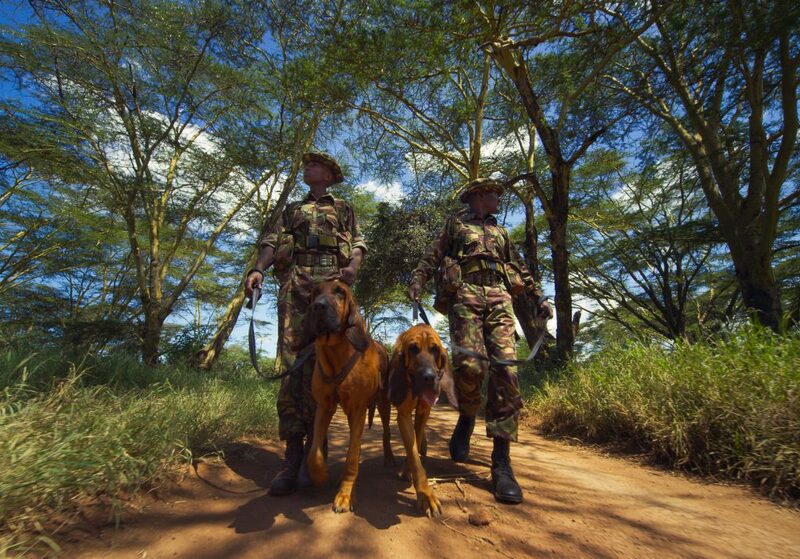 Their evidence is admissible in Kenyan court, and they’ve been instrumental in the arrest of over 40 poachers. 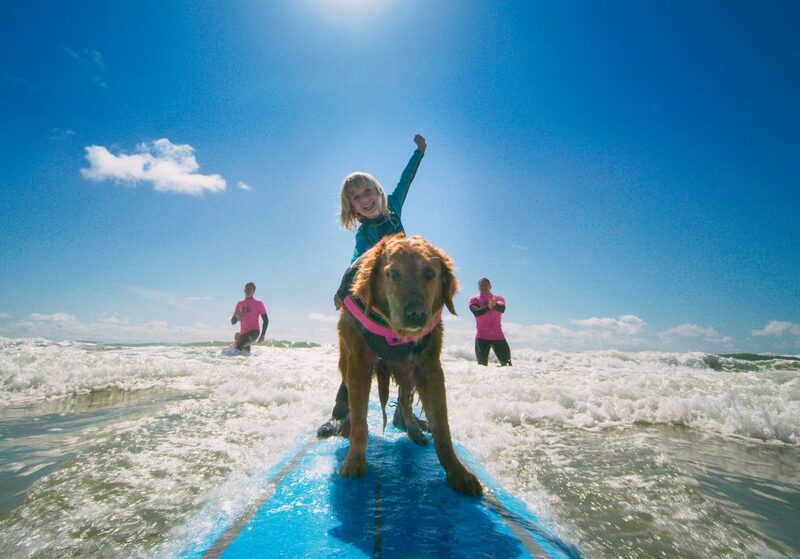 Golden Retriever Ricochet is part of the initiative Waves of Empowerment, where veterans with PTSD are paired with kids with special needs for a day of canine assisted surfing, swimming, and therapy. She has an ASPCA dog of the year, and an inductee in the California Veterinary Medical Association’s Hall of Fame. Each dog featured is shown with their human partner, but also working in the teams of which they are a part. Henry has lots of canine colleagues in the Canadian Avalanche Rescue Dog Association. Reef too belongs to an impressive group of water rescue dogs, from many different breeds. Her human partner was inspired to start the group after his young daughter was saved from drowning by a Newfoundland called Mas. Reef is Mas’s grandpup, who now helps train other dogs to hone their rescue instincts. Able to pull 40 times her weight, she spends the whole time in the water wagging her tail. In fact, put the concern you may have that any of these dogs are doing any of this against their will to permanent rest. In watching these animals expertly do their ‘jobs’, viewers see the training and performance of their work is all based in play. One of the best aspects of Superpower Dogs is seeing how these dogs learn their skills. It’s fascinating and more than a little fun to see the joy with which they approach their days. There are no dark moments waiting to swallow up dog lovers, no cautionary tales (or tails) presented. Time flies by. In fact, the film could have been longer. Even the kids I met at the showing said they wanted more. The whole movie is a celebration of the wonder of the canine species, and these amazing dogs, who are heroes making the world a better place. If you’re looking for a feel-good flick that the whole animal-loving family will enjoy, find a museum near you playing this movie, and punctuate a day wandering the exhibitions together with watching Superpower Dogs.